A retired Vatican diplomat has called on Pope Francis to resign, claiming he was aware of abuse allegations against a prominent figure in the church hierarchy from 2013 but failed to take action. There was a “conspiracy of silence not so dissimilar from the one that prevails in the mafia”, said Archbishop Carlo Maria Viganò, 77, a former Vatican ambassador to the US. 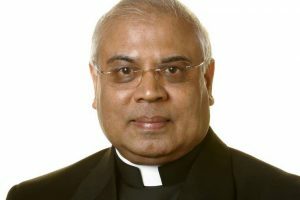 The publication of the testament – which also contains a lengthy attack on homosexuality in the Catholic church – is another sign of growing rancour and divisions within the Vatican and top levels of the church over Francis’s papacy. It came during the second day of the pope’s visit to Ireland, which has had a shadow cast over it by the ongoing abuse scandal. 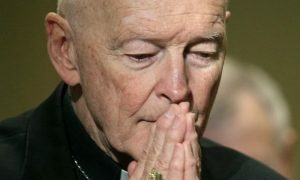 In a highly charged 11-page testament, Viganò – who is known for his conservative views – claimed Francis knew Theodore McCarrick, the former archbishop of Washington, “was a corrupt man, [but] he covered for him to the bitter end”. The former diplomat said he had an exchange with the pope in June 2013, three months after Francis was elected, in which he told him there was a thick dossier on McCarrick. According to Viganò, the pope did not respond, and McCarrick continued in his role as a public emissary for the church. Viganò named a string of cardinals and archbishops who he said also knew about the McCarrick claims. “Corruption has reached the very top of the church’s hierarchy,” he wrote. Last month, Francis accepted McCarrick’s resignation as a cardinal after fresh claims he sexually abused an 11-year-old altar boy and seminary students. Francis also ordered him to conduct “a life of prayer and penance” until accusations against him were examined in a church trial. 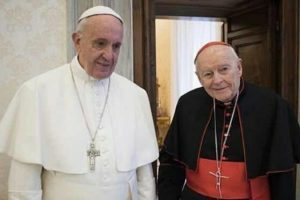 McCarrick, 88, has maintained that he is innocent. He wrote: “If we truly want to free the church from the fetid swamp into which she has fallen, we must have the courage to tear down the culture of secrecy and publicly confess the truths we have kept hidden. Opponents of Francis have seized on a wave of scandals this year to step up their attacks on the pope. Some have also sought to conflate sexual abuse and homosexuality. Vatican officials declined to comment on Viganò’s testament, which was released to conservative Catholic media outlets. Francis is facing sexual abuse crises in several countries, including the US, Australia and Chile. Last week, he wrote an unprecedented letter to all Catholics, saying the “culture of death” should be rooted out and vowing there would be no more cover-ups. It followed a damning grand jury report on decades of abuse and cover-up in Pennsylvania. Viganò has also has had his own problems with allegations of cover-up, and he and Francis had a major disagreement during Francis’ 2015 visit to the US, which Vigano organised. In that incident, a leading US campaigner against gay marriage, Kim Davis, was among those invited to meet with the pope at Viganò’s Washington residence. 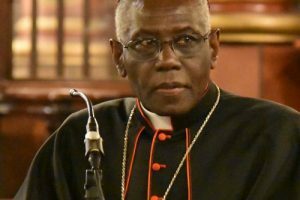 Francis was so enraged that Davis’ supporters had leaked word of her meeting that the Vatican subsequently insisted he only held one private audience while there: with one of his former students, a gay man and his partner. The cover-up accusation, which Viganò denied, concerned allegations that he tried to quash an investigation into the former archbishop of St. Paul-Minneapolis, Minnesota, John Nienstedt, who was accused of misconduct with adult seminarians. In 2016, the National Catholic Reporter said Viganò allegedly ordered the investigation wrapped up and a piece of evidence destroyed. The report cited a 2014 memo from a diocesan official that was unsealed following the conclusion of a criminal investigation into the archdiocese. No charges were filed.